After two aquathlons, I feel like I'm becoming an old hand at this. But then I made the mistake of fastening my timing tag too loosely around my ankle. I was worried it would fall off during the swim. 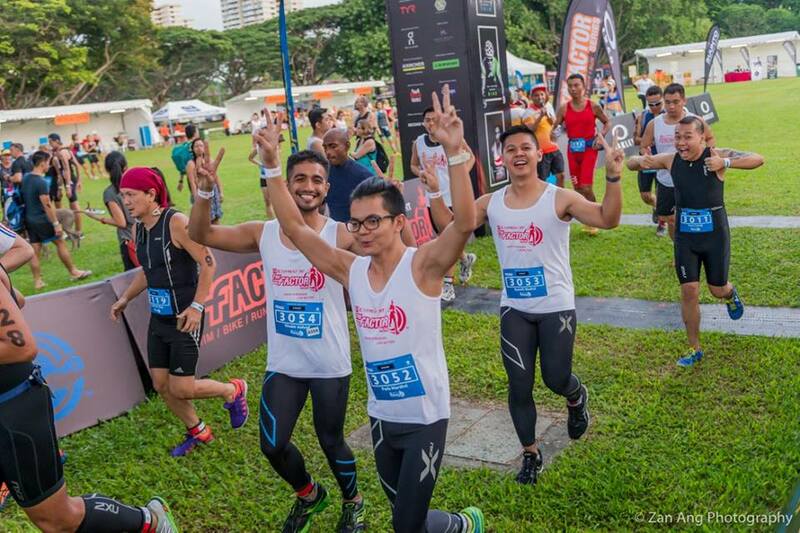 That aside, I was all set for my first Tri-Factor race, consisting of a 5km run, a 500m swim and another 6km run. My previous aquathlons consisted only of a 800m swim and 5km run. 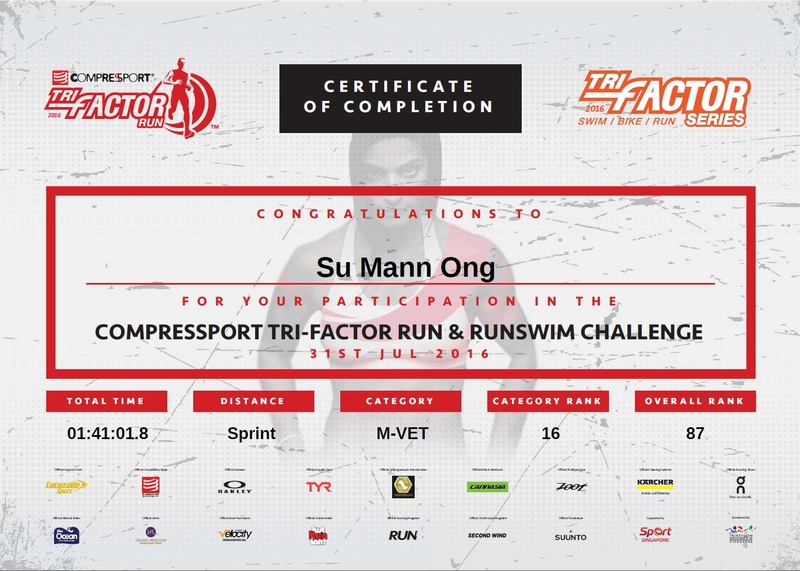 With a shorter swim leg, the Tri-Factor event appealed to me because I'm a remarkably slow swimmer. My wife came along to be my cameraman and videographer. The water at East Coast was surprisingly calm (compared to my previous open-water experience here), but the seawater is saltier than ever. After the first turn, the rising sun was directly in my eyes during the longest stretch of the swim. As if I didn't have enough visibility problems. After the swim, I was so exhausted, I could only hobble throughout most the second 6km run. At least my ankle tag didn't come off. 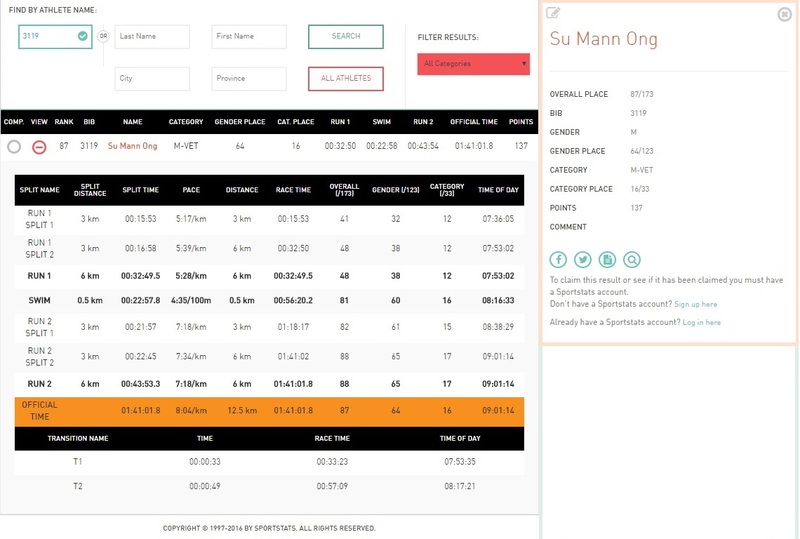 My official time for the race, 1 hour 41 minutes 1 second, was only good enough to place 87 out of 173 overall, 64 out of 123 men, and 16 out of 33 in the men veteran category. Well, as long as I wasn't last. Is Singlish having a moment (again)?